One of the favorite 944 upgrades is to swap the old flag mirrors out for the newer styled 968 mirrors. I can see why people like the newer mirrors but I kinda like the old ones too. I've looked at a lot of 944s and some times I see a beautiful car with one ugly detail. 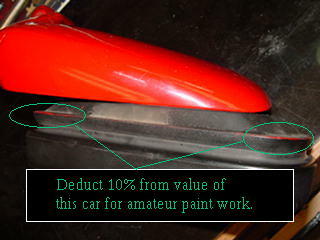 This happens when you take your car in for a new paint job. The painter may have the best equipment but if he doesn't take the time to remove some of the exterior parts, you end up with over spray around the mirror stems and paint bleeding into the rubber grommets. The mirrors a particularly bad place for this because they are located up high on the car in a very visible place. It takes a little time and a trick to get the old mirrors off. This page is about getting the flag mirrors apart. 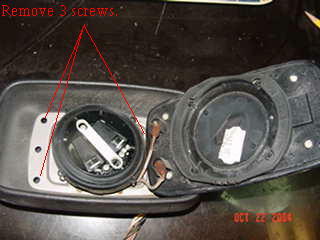 Remove mirror assembly by folding mirror back to access mounting screw. 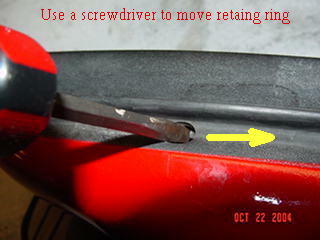 These screws are often rust-welded to the door and must be cut with a sawzall. The mirror and gasket will lift clear of the door but the wiring will have to be cut. 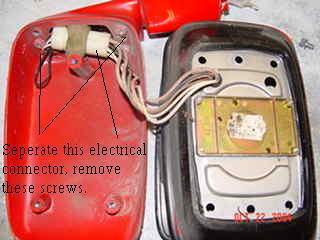 No there is no plug to disconnect (you can disconnect the entire harness for the door but that will take several hours). 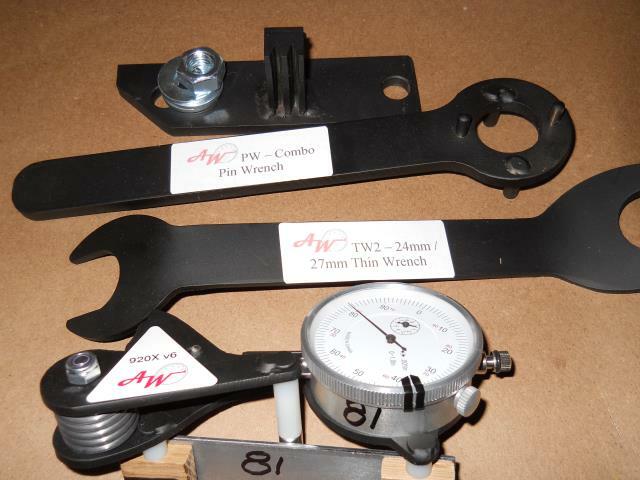 There is a small connector seen in the photo below but you will need a pin insertion/extraction tool to deal with it (some say an ink barrel from a standard ballpoint pen will work, but I've never tried that). Or, you can cut the wires and re-join them at assembly time. 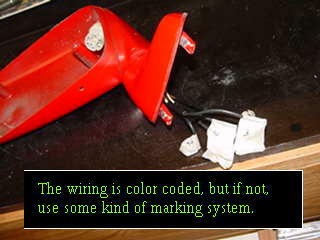 If you go for this, try to cut the wires with enough length that they can be re-joined without adding in an inch of extending wire - this is how mine come to have a short all-black section (with little pieces of tape marking the original wire color). The mirror glass is held in with a sort of retaining ring. 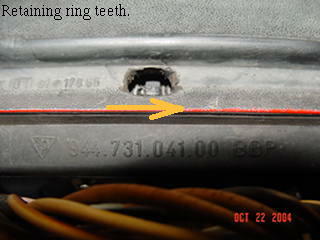 The ring has teeth that can be grabbed with the tip of a screwdriver. Simply rotate the ring (about 1/2 inch) to its stop and apply gentle prying pressure to the mirror. It will pop out and hang from the heater wires. There is an electrical connect, which can then be disconnected to separate the mirror. 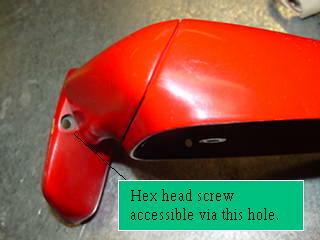 Also there are 4 screws that attach the stem. Now you can paint your stems and get a really nice detail finish.